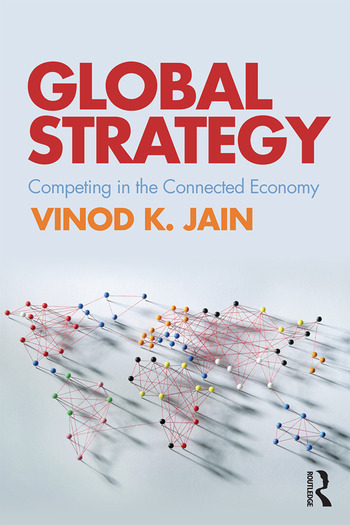 Global Strategy: Competing in the Connected Economy details how firms enter, compete and grow in foreign markets. Jain moves away from the traditional focus on developed countries and their multinational enterprises, instead focusing on both developed and emerging economies, as well as their interaction in an increasingly connected world. As the current global business environment is increasingly shaped—and connected—by faster technological developments, geopolitical forces, emerging economies, and new multinationals from those economies, this highly charged dynamic provides rich opportunity to revisit mainstream paradigms in globalization, innovation, and global strategy. The book rises to the challenge, exploring new competitive phenomena, new business models, and new strategies. Rich illustrations, real-world examples, and case data, provide students and executives with the insights necessary to connect, compete, and grow in a globalized business environment. This bold book succinctly covers strategy models and implementation for a range of global players, providing students of strategy and international business with a rich understanding of the contemporary business environment. For access to additional materials, including Powerpoint slides, a list of suggested cases, and sample syllabus, please contact Vinod Jain (vinod.jain01@yahoo.com). Vinod K. Jain received his Ph.D. in Strategy and International Business from the University of Maryland, Smith School of Business in 1994, and taught there from 2005 to 2012.